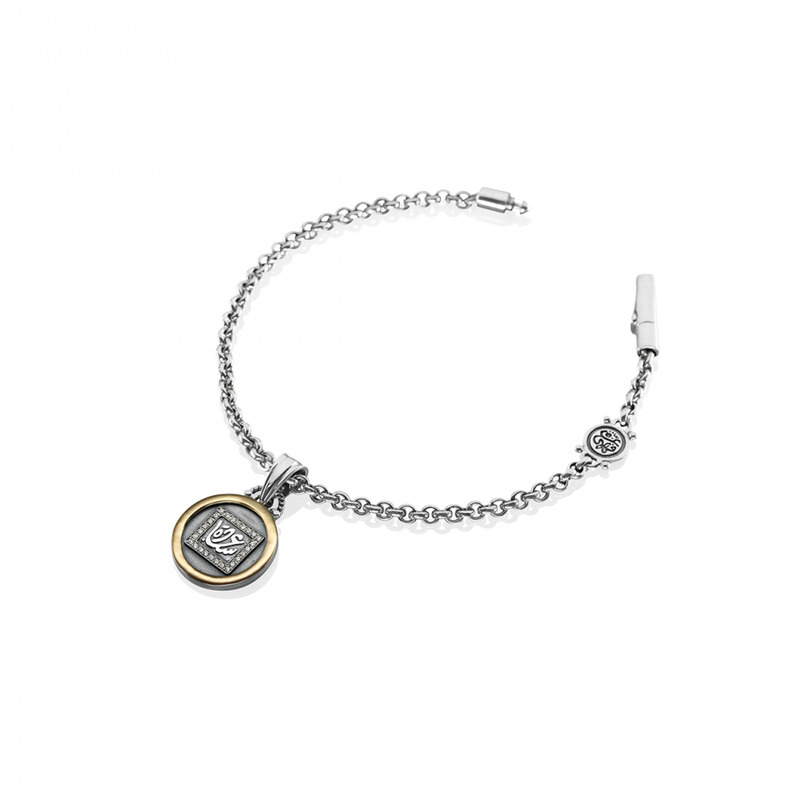 18kt Gold and Sterling Silver bracelet inspired by architectural domes, carrying Diamonds and engraved with words from the legendary singer Umm Kulthum. 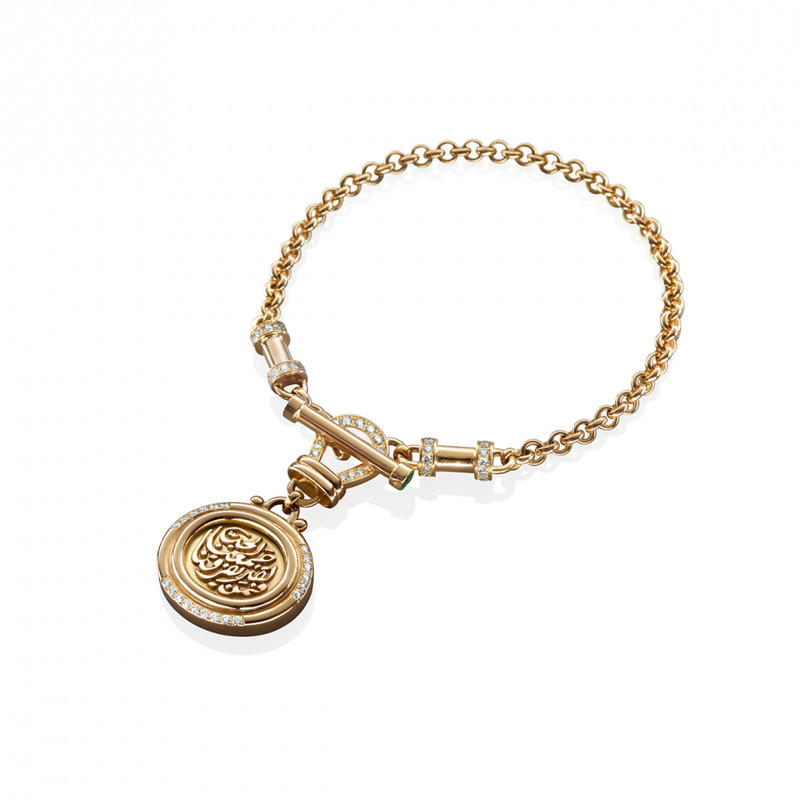 An 18kt gold & diamond coin bracelet engraved with love words. 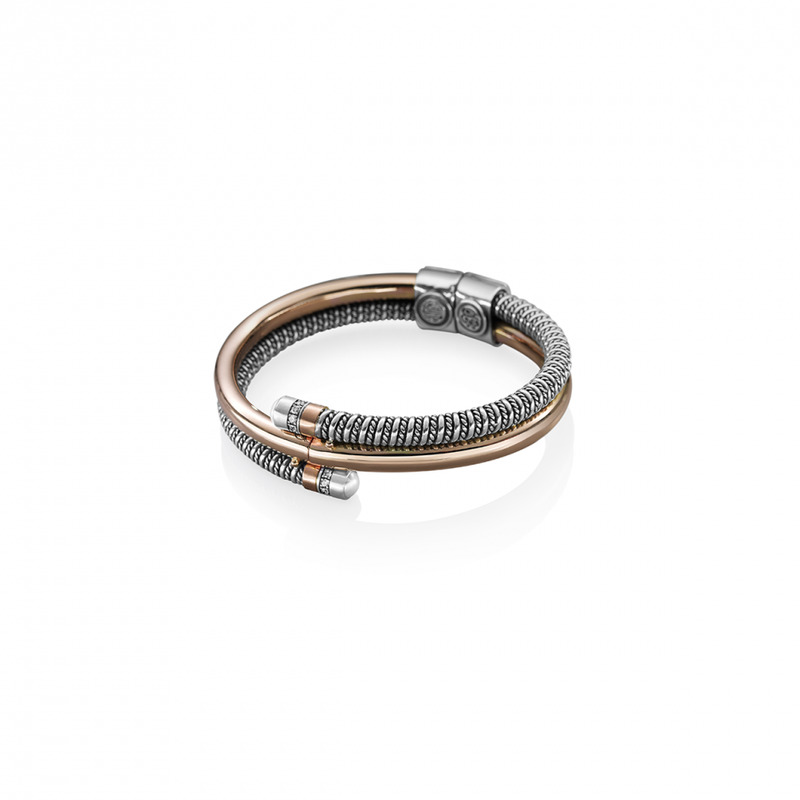 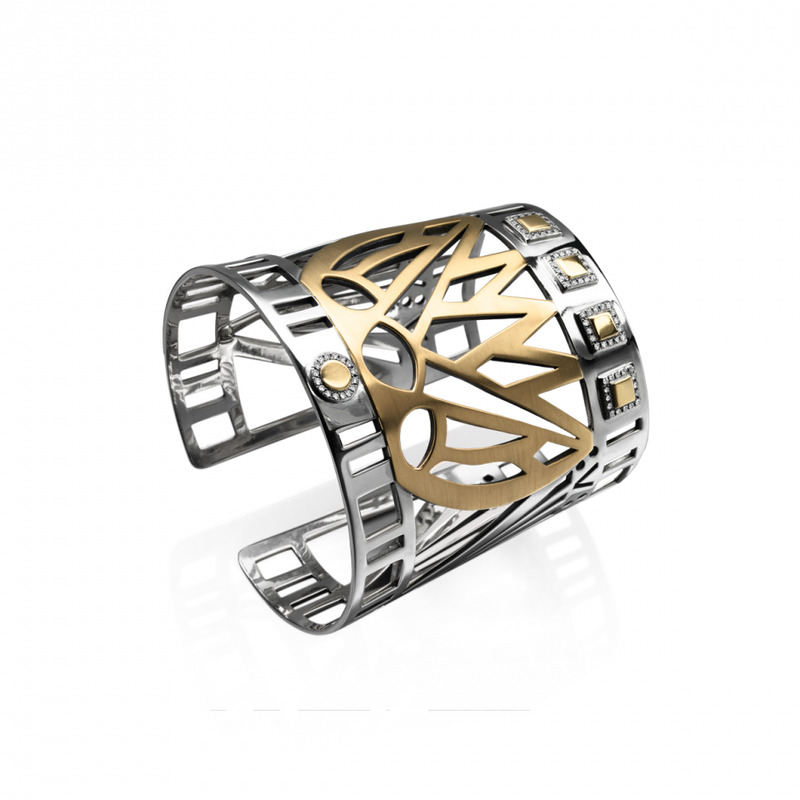 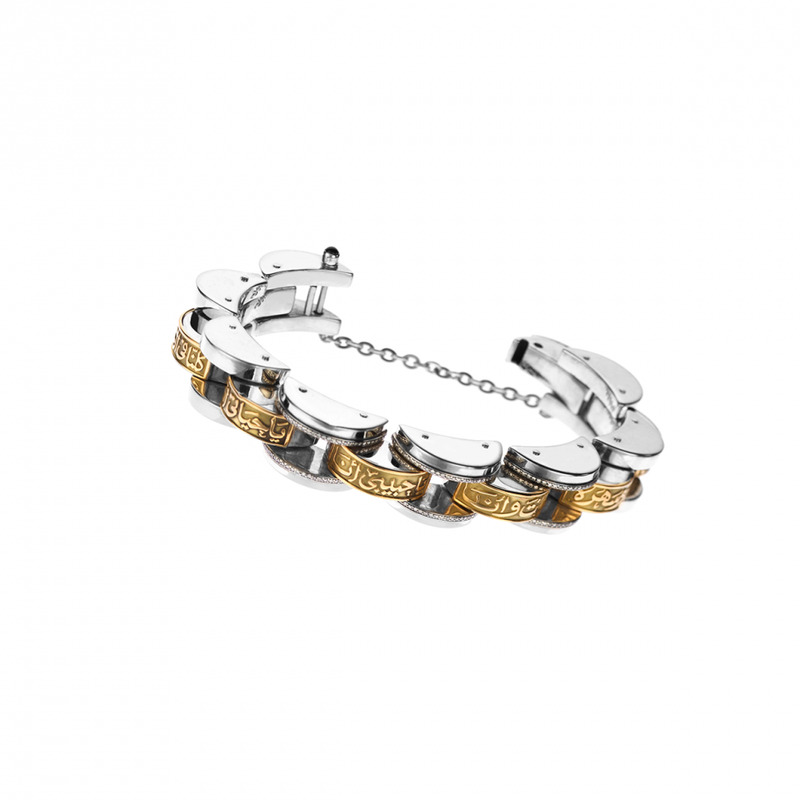 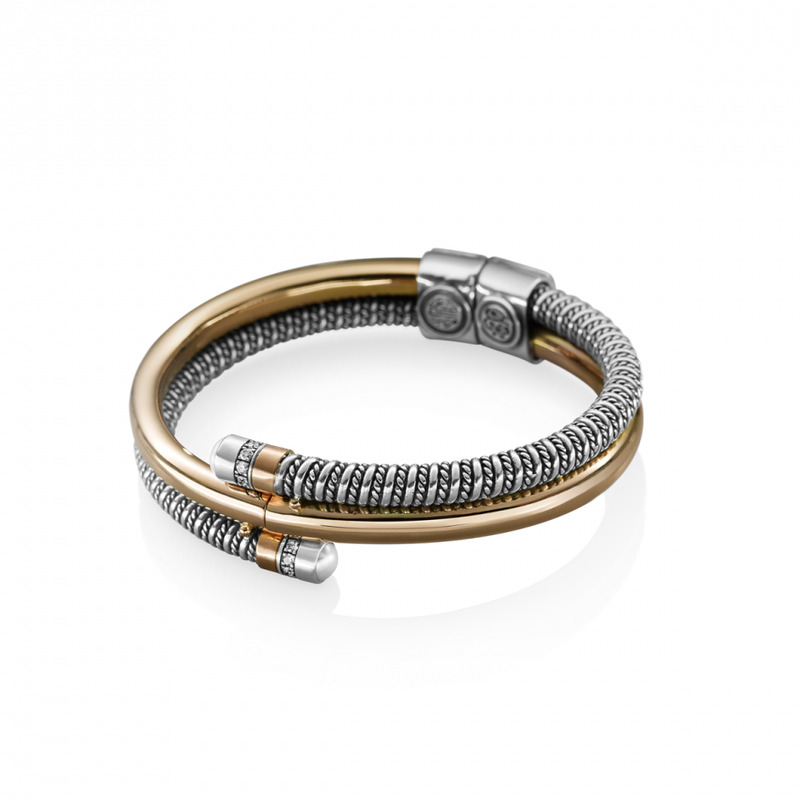 18kt Gold and Sterling Silver cuff set in pavé Diamonds encapsulating the spirit of Ancient Egypt. 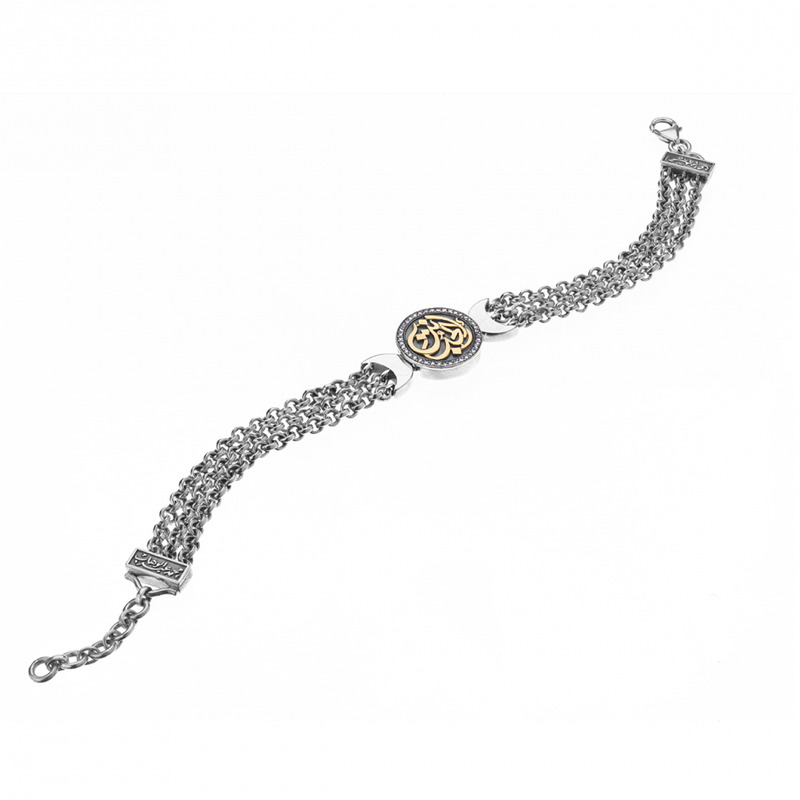 18kt Gold and Sterling Silver coin bracelet adorned with pavé Diamonds and our signature calligraphy.